Undoubtedly, the Internet has a multilevel impact on the everyday life of the humankind. In the age of web 2.0, social media have proven to be an essential tool for social movements; to spread their ideas, gain followers and go into action, showing to the world testimonies, pictures, and videos in real time. 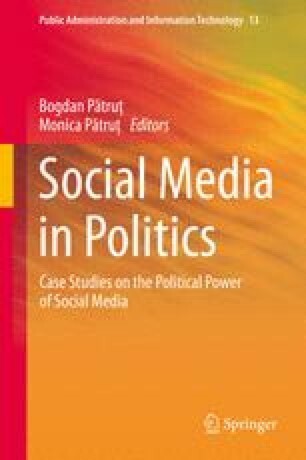 Using updated research evidence and diverse approaches, this study focuses on the social media role in nine social protests of the twenty-first century that are now part of the history and allowed important conclusions for the scientific and practical understanding of this issue. Social network participation is not isolated from the countries’ characteristics and the media. For this reason, social, political, and communicational factors that contextualize these cases are presented, developing some theoretical models. Cullum, B. (2010). Were protests in Moldova a Twitter revolution? Movements.org Posted on June 27. http://www.movements.org/case-study/entry/were-protests-in-moldova-a-twitter-revolution/. Accessed Sept 25 2013. El-Nawawy M., Khamis, S. (2012). Political activism 2.0: Comparing the role of social media in Egypt’s “Facebook revolution” and Iran’s “Twitter Uprising”. CyberOrient Oline Journal of the Virtual Middle East. 6(1). http://www.cyberorient.net/article.do?articleId=7439. Accessed 15 Sept 2013. Goldstein, J. (2007). The role of digital networked technologies in the Ukrainian Orange Revolution Cambridge: The Berkman Center for Internet & Society, Research Publication No. 2007–14 http://cyber.law.harvard.edu/publications. Accessed 19 Aug 2013.